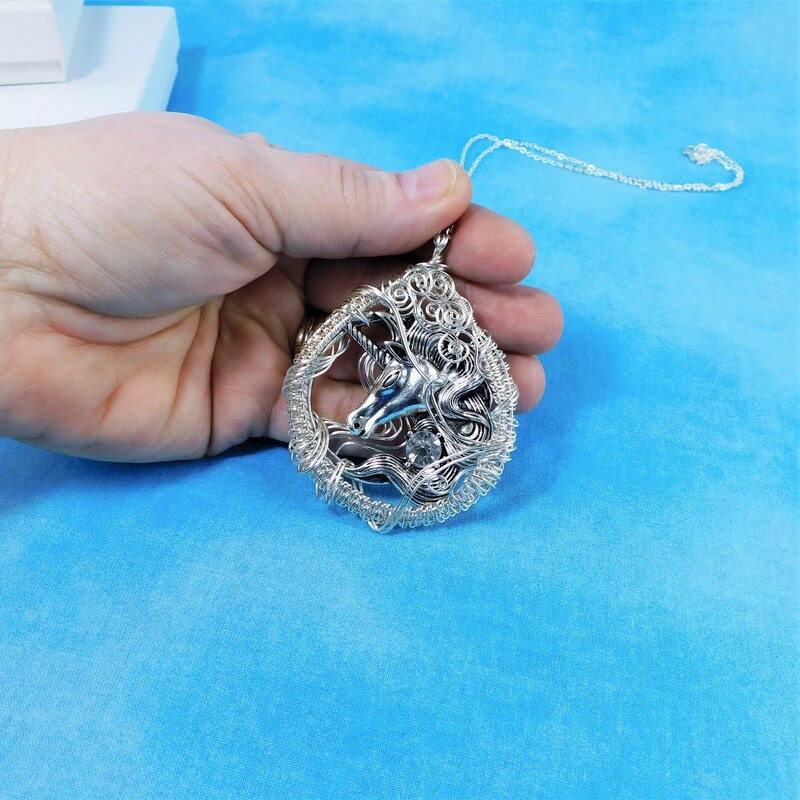 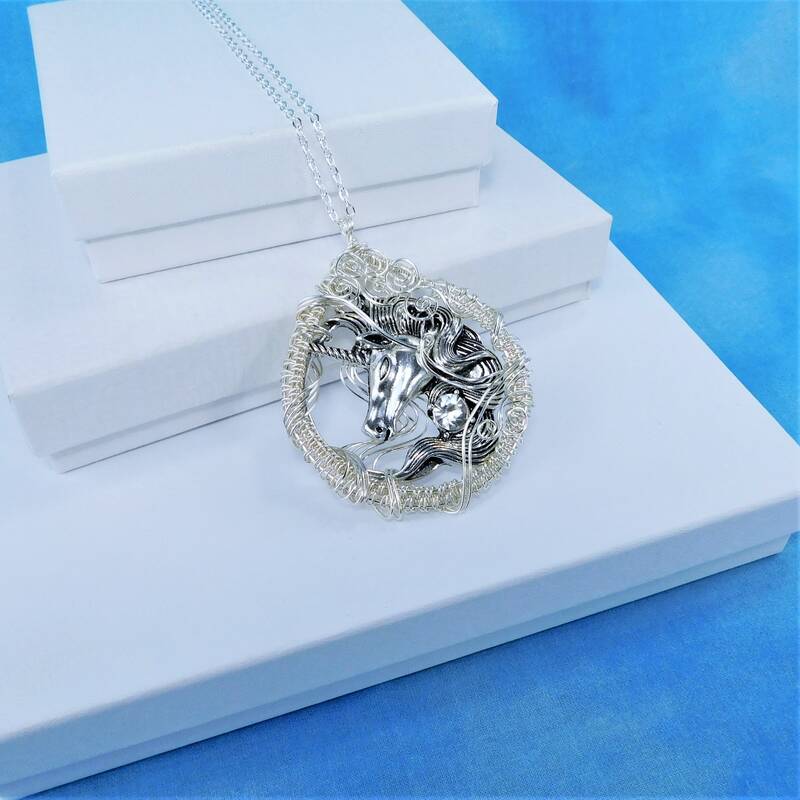 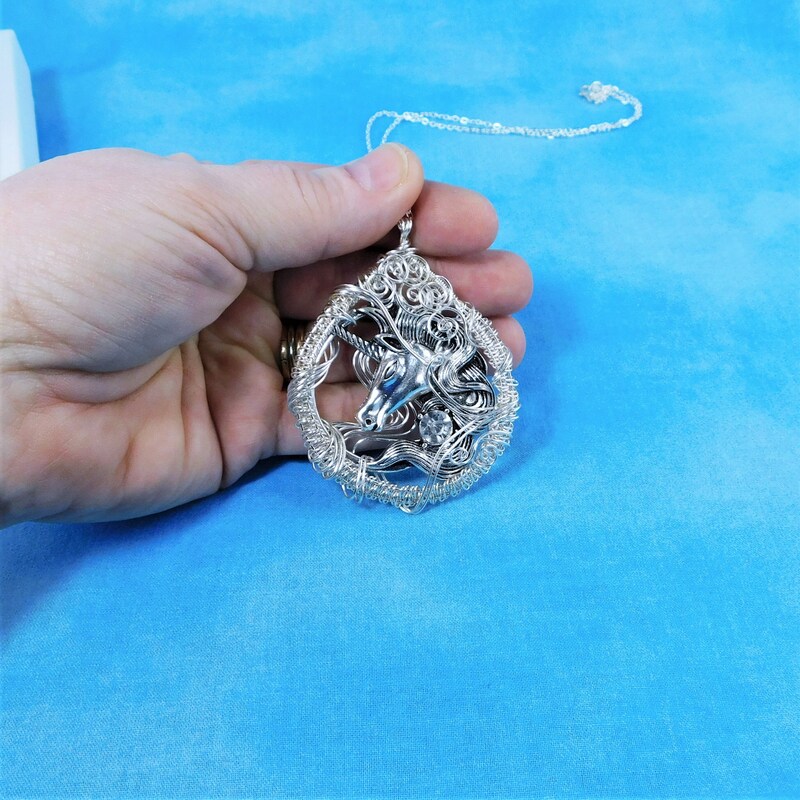 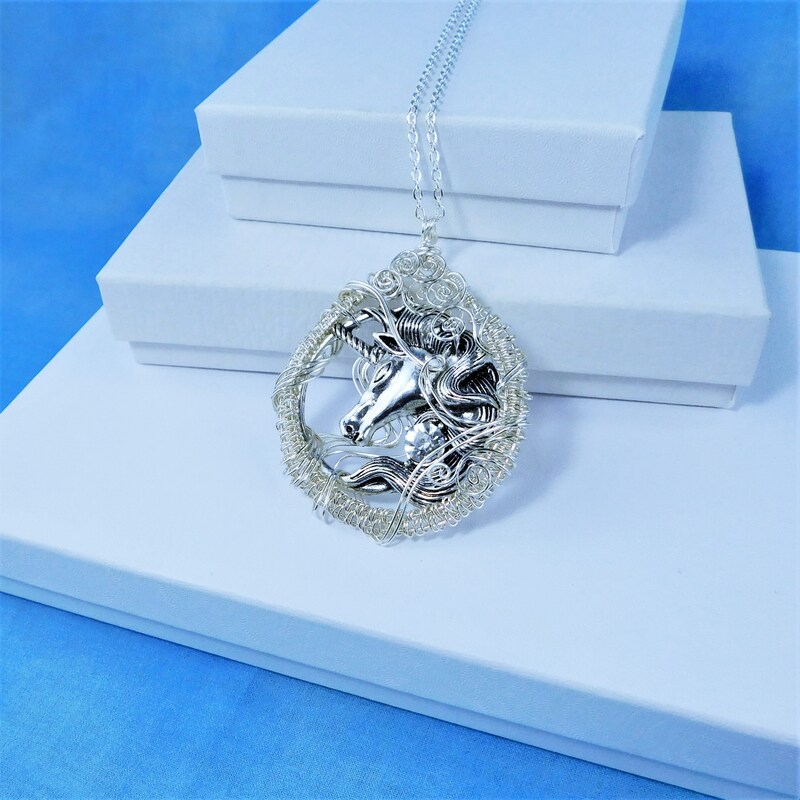 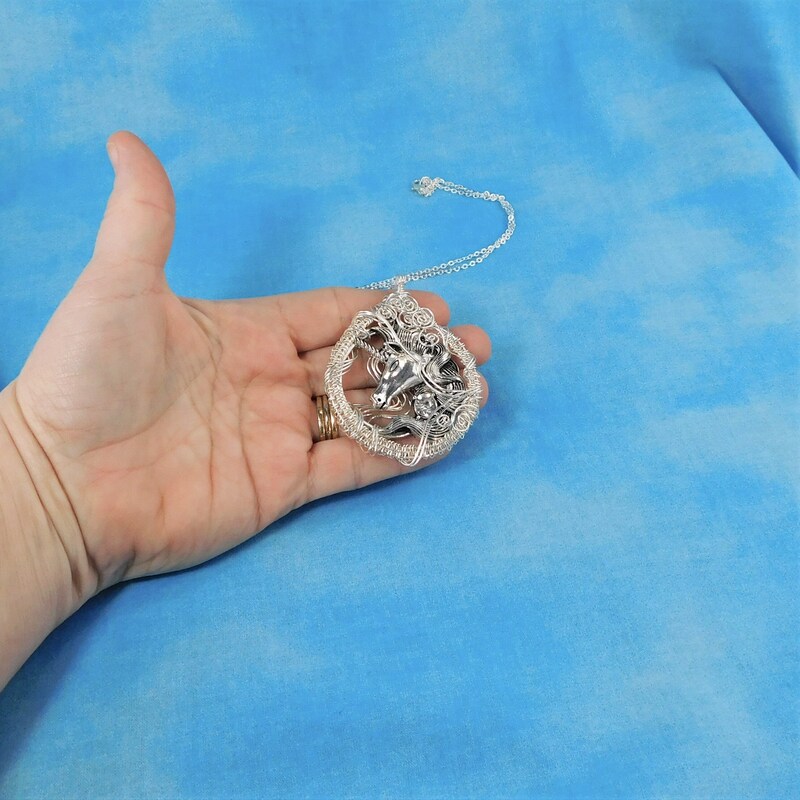 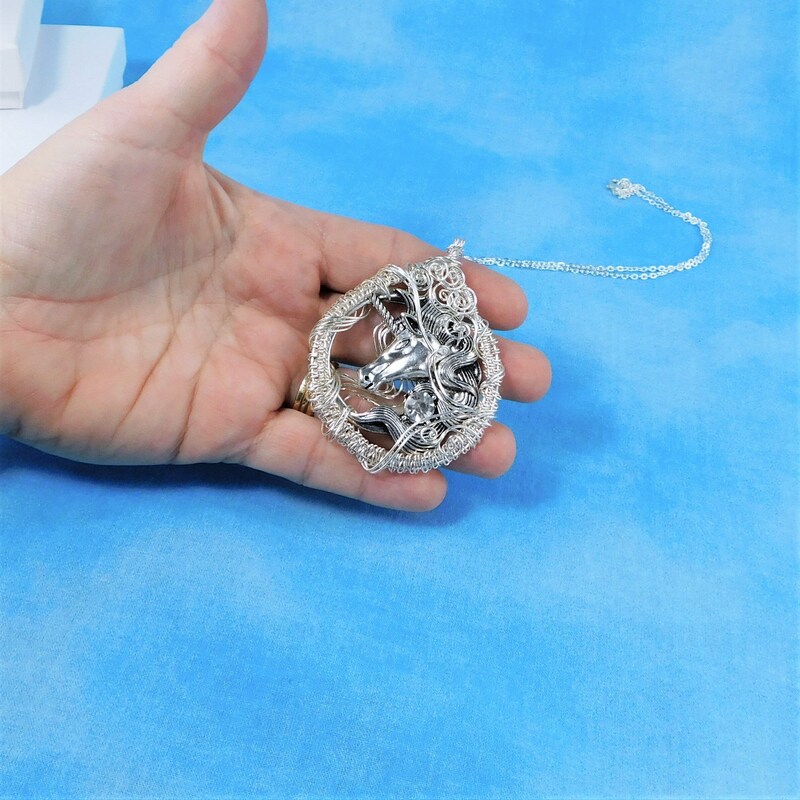 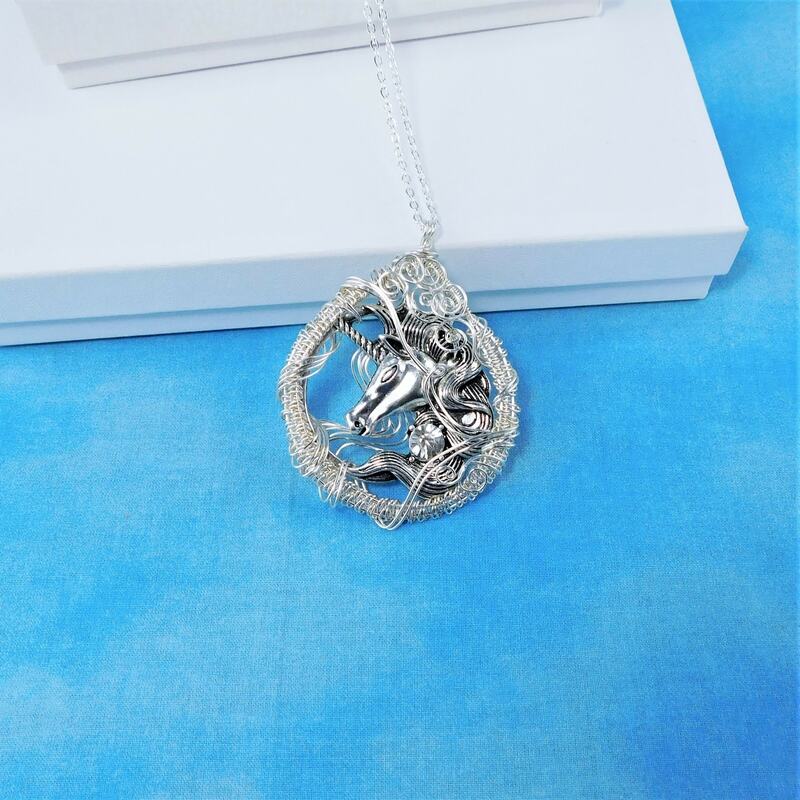 Non tarnish fine silver over copper wire is woven to frame a VERY large unicorn, creating a 2 inch by 2 inch pendant style necklace. 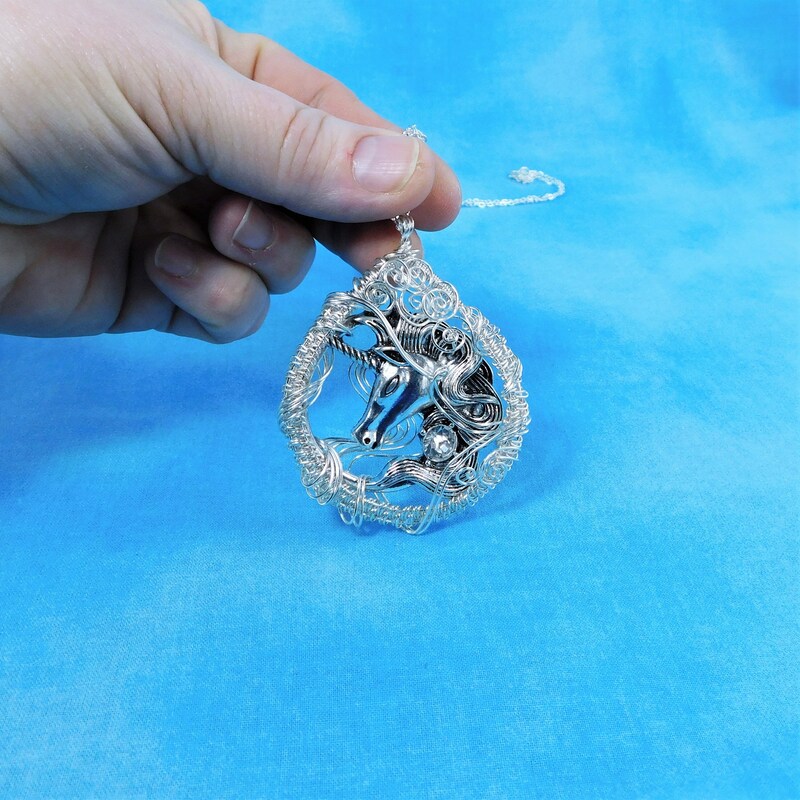 The non tarnish wire is woven by hand and sculpted with sweeping strands that are finished in swirls, using only pliers. 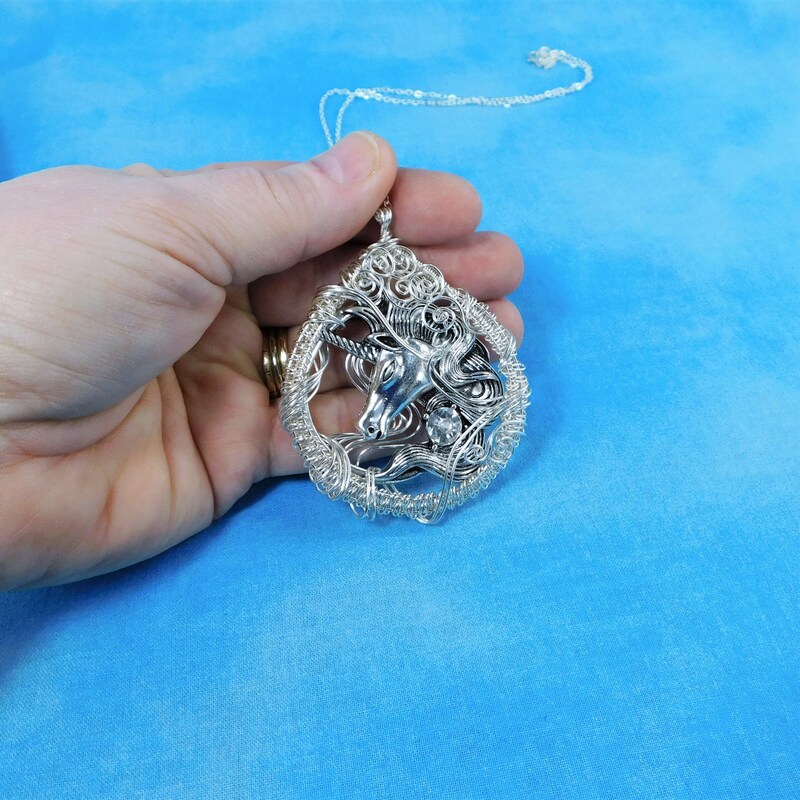 The pendant is hand crafted in every sense of the term. 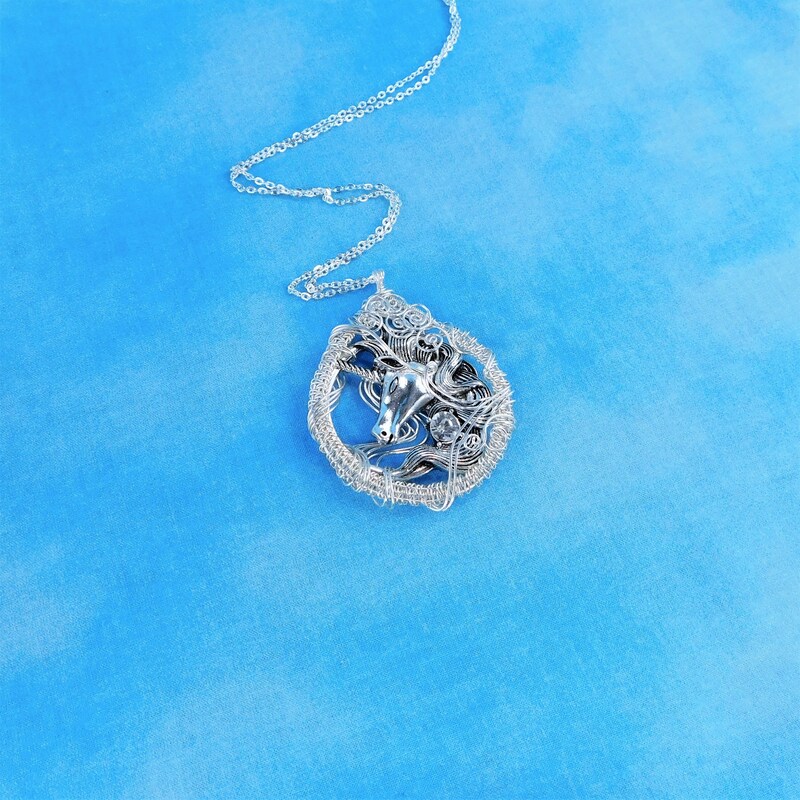 It is a substantial statement necklace that creates a bold, interesting look for just the right women.